Cameron Nye is an Assistant Engineer providing traffic engineering support on traffic engineering and transportation planning services. 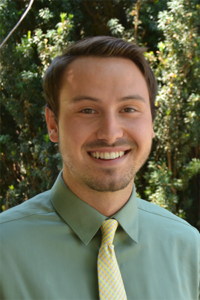 Cameron Nye graduated from California Polytechnic State University, San Luis Obispo in 2016 with a B.S. in Civil Engineering and a focus in Transportation Engineering. While in college Cameron completed three internships in the civil engineering field that gave him an opportunity to work on large-scale multi-million dollar highway design projects in Southern California. Cameron also possesses traffic engineering and transportation planning experience from working on numerous Traffic Impact Studies and Transportation Demand Management plans. Although Cameron is a transportation specialist, his skills are more than solely technical. He takes pride in effective communication, which he learned from his project management internship. While at Cal Poly, he was involved with the student chapters of both ASCE and ITE, and plans to continue staying active with professional memberships. Cameron ultimately decided to pursue a career in traffic engineering upon realizing the dire need for traffic improvements in many communities throughout the San Francisco Bay Area.